My wife gave birth to our two sons on March 30 2016. Our due date was May 19 but she developed preeclampsia. 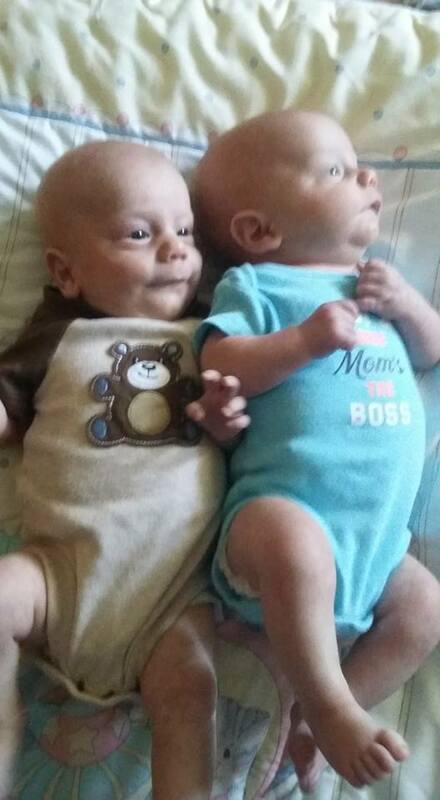 They spent two weeks in NICU before being released. Our plans were to breast feed exclusively but my wife has remained several ounces short during the entire process. We are working with a lactation expert as well as my mother that was one in the 80s. She is on several herbal supplements such as Fenegreek and Mothers Milk Special Blend. She also eats steel cut oats and lactation cookies. Her average pump session is about 4-6 oz with her pumping between 2 and 3 hours even at night as well as doing power pumping and cluster pumping with a medical grade pump. James (the older) and Henry Alan (younger) will not latch and when they do it is extremely painful due to a tongue tie that will be fixed in five days. Currently we are more than 10 oz per day shy of keeping up on our own. We tried supplementing with formula but after several failed attempts we have concluded that it is not a viable option. James wound up going to the emergency room with an extremely distended belly and gas that would not pass even with gas drops. Henry Alan had a reaction to formula causing the milk to curdle so thick that it would not go thru his intestines and so thick that when he threw it up it clogged his throat. Had my mother not been in the room he would have choked to death that night. Even with the least reactive formula they spit up a thick cottage cheese like spit up and develop intestinal issues. The local donations will not keep up for long. My wife has become so stressed out over the problem that she has asked me to find donors because the process causes issues with her supply. Any and all help would be most appreciated. There are no dietary restriction or allergies have found with our boys.